Fall sports teams have completed their seasons and the winter sports season is right around the corner. The middle school boys basketball season will have its first game November 13th. They have started practices with several 8th graders signed up to play. High school Wrestling and Basketball practices start November 12th. The boys basketball season starts with a jamboree at Warrenton on the 28th of November. The girls and boys teams both start their regular season the 30th of November with the Vernonia Tournament. The wrestling team's first contest is also the 30th with a tournament at Harrisburg. Vernonia School District participates in sports activities at both the high school and middle school level. VERNONIA MIDDLE SCHOOL's mascot is the Toppers. Vernonia High Schooll participates as a member of the Northwest League at the 2A Level. Vernonia School District provides diverse opportunities for developing athletes. 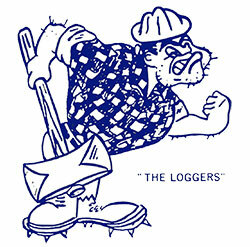 Team sports run year-round for the Loggers and afford opportunities for both men and women who desire to participate. *Good for football, volleyball, wrestling and basketball home games.